When the Jerusalem Artichokes arrived in this week’s harvest, I had no idea what they even were, and even less of an idea of what to do with them! Big thanks to http://www.shanticoibiza.com/ for the hints and tips. Delia’s recipe calls for a 50/50 split of carrots and artichokes, but I agreed with Sid that the artichokes should be the main event. 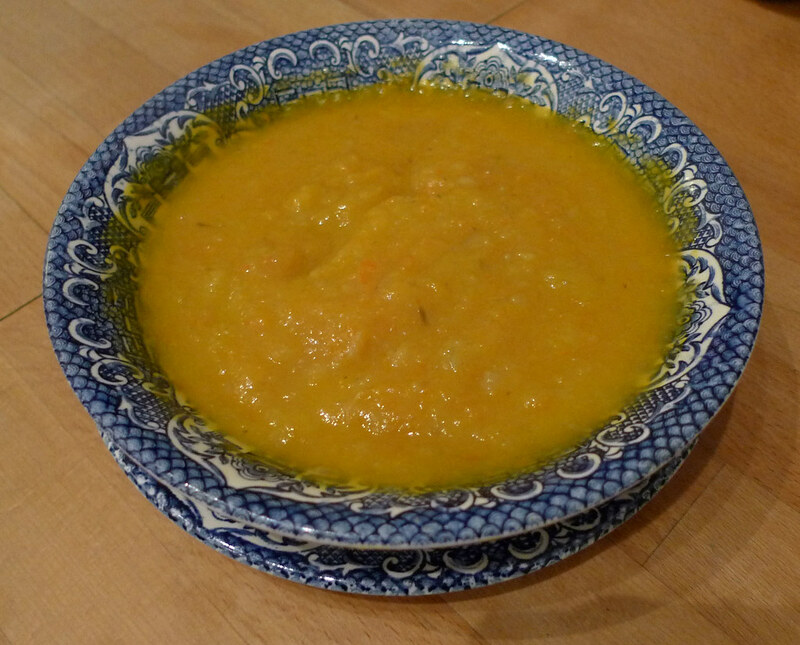 I had 425g of artichokes, so I used 350g carrots to take the lesser flavour. Peel the artichokes, chop roughly, and submerge in a bowl of salted water to stop them discolouring. Drain the artichokes and add them and the carrots to the pan. Stir, turn the heat down low, cover, and let them sweat for 15mins.